This article aims to give a panoramic view of the Brazilian Freemasonry through the history of the Grand Orient of Brazil – GOB, the base stem, and its subsequent spin-offs, mainly the one in 1927 and of 1973. For a more complete and thorough view on the subject, one can consult the book History of the Grand Orient of Brazil by José Castellani and William Carvalho by Madras Editora, 2009. Until the first split of 1927, the history of the Brazilian Freemasonry merged with the history of Brazil. Thereafter, that is, the moment when Freemasonry ceases to be a strategic group, History forks, following parallel paths, with some incidental contact. Since the tenure of Jair Ribeiro Assis (1983-1993) with the GOB, there was an inflection point in the progress of Freemasonry in Brazil. Currently growing at Chinese rates, but not yet returned to the condition of a strategic partner of the country, as it used to be in the past. The Brazilian Freemasonry, at least, is entering a level of cultural and educational excitement with the creation of research lodges, loges made up of college students, academies etc. that soon will, inevitably, have significant developments. As in the past, Freemasonry lent its organization to a country that had no political parties, and it may, at the threshold of the 21st century, help the country, which still has political institutions with a rancid pre-Enlightenment performance, creating truly republican values and institutions. Brazil has proclaimed the Republic, but its values are still patrimonialist. The great challenge is that Freemasonry can help Brazil adjusting its scale of values and performance in this century. We gave particular emphasis to the two divisions in the twentieth century for their strategic importance. Two annexes also make up the present work: i) the list of GOB’s Grand Masters; and ii) a statistical table on the Obediences and the Brazilian freemasons considered as regular, such as the GOB, the Grand Lodges and the COMAB (Masonic Confederation of Brazil.) It should also be noted that all splits in Brazil are due to the defeat in elections, rather than doctrinal differences. From the data presented here, one can say that Brazil has more than 6,000 masonic lodges, and nearly 200,000 members. These are the so-called regular powers. With the data available today, the first known reference to a Brazilian Masonic Lodge would have been in the territorial waters of Bahia in 1797, in the French frigate, La Preneuse, called Knights of the Light, shortly after transferred to Barra, a district of Salvador. However, the first regular Lodge in Brazil was the Reunião, founded in 1801 in Rio de Janeiro, affiliated to the Orient of the Isle of France (Ile de France), former name of the Mauritius Island, at the time a French possession, currently British. Two years later, the Grand Orient Lusitano, wishing to spread in Brazil, the “true Masonic doctrine,” appointed for this purpose three delegates, with full power to create regular lodges in Rio de Janeiro, affiliated to that Grand Orient. They created then Lodges Constancia and Filantropia, which, along with Reunião, served as a common center for all existing freemasons in Rio de Janeiro, regular and irregular, promoting the initiation of others, up to the degree of Master. Despite controversies requiring further research in this area, these were the first official lodges considered regular, as there were, previously, secret groups, in more or less Masonic forms, functioning more like clubs or academies, but they were not Lodges in the sense of the word. After the foundation of those first three “official” lodges, they spread in the early years of the nineteenth century, Lodges in the provinces of Bahia, Pernambuco and Rio de Janeiro, free, or under the auspices of the Grand Orient Lusitano and the Grand Orient of France. It should be noted that the colonial governments of the day were precisely instructed to prevent the functioning of Lodges in Brazil. So much so that those lodges – Constancia and Filantropia – were closed in 1806 in Rio de Janeiro, ceasing Masonic activities in this city, but continuing and expanding, especially in Bahia and Pernambuco. Rio de Janeiro, however, could remain without a Lodge, and despite this ban, the work proceeded with the Lodges São João de Bragança and Beneficencia. An important fact for the future history of the Grand Orient of Brazil was that the Lodge Commercio e Artes founded in 1815 retained its independence, postponing its affiliation to the Grand Orient Lusitano, because its members wanted to create a Brazilian Obedience. It should also be noted that in 1817 there were two events of great severity in terms of lese-majesty. Two revolutions broke out: i) the Pernambuco Revolution of 1817, a revolutionary movement of strongly nationalistic character, intending to implement the Republic in the state of Pernambuco, and ii) the Liberal Conspiracy of Lisbon in 1817 led by our Brother General Gomes Freire de Andrade, a former Grand Master of the Grand Orient Lusitano. Given this climate of sedition, both in Portugal and in Brazil, a draconian decree was issued on March 30, 1818, which prohibited the functioning of secret societies. The lodges then decided to cease their work until they could be reopened safely. The freemasons, however, continued to work secretly as the Club of the Resistance, founded in Rio de Janeiro. The Liberal Revolution of Porto broke out in 1820, led by Portuguese freemasons, demanding the return of D. João VI to Portugal. Since then, the events begin to precipitate. A Revolution also breaks out in Spain in 1820. The liberal vague (Masonic) began to challenge the absolutist states of the Iberian Peninsula. In Brazil, 1821 began with a series of military-political events that culminated in the independence of Brazil. Since at that time political parties did not exist, an organization was needed to coordinate and mobilize the political discontent, and the Brazilian Freemasonry lent its organization for that purpose. It returned, then, to full-fledged activity. The first event was the sedition of the troops on February 26 that imposed King John VI the oath to the Portuguese Constitution, which caused the onset of an intense conspiracy, including many freemasons, seeking the independence of Brazil. The following events were those of April 20th and 21st, when there was a sedition of the voters, demanding the king’s residence in the country, causing the prompt reaction of the Portuguese troops, which secured the embarkation of the royal family. All these facts have attracted police attention against the freemasons, what did not, however, prevent that the Lodge Commercio e Artes return to work secretly, resuming its activities on June 24, 1821. Now with the name Lodge Commerce and Arts of the Golden Age, under the auspices of the Grand Orient of Portugal, Brazil, and Algarve. The influx of adhesions was so great in the following months that soon it was considered the creation of a national Obedience, what would happen on June 17, 1822, with the subsequent spin-off of the “Commerce and Arts” lodge, forming the trio of founding lodges of the Great Orient. As of this moment, the Brazilian Freemasonry ceased to be a heterogeneous group of scattered lodges connected to some foreign Obedience, to turn into another cell of the world obediences system. 1822 -June 17th: foundation of the Grand Orient. The main objective of the founders of the Grand Orient was the country’s independence at the time when the Royal Family was forced to return to Portugal by the Constitutional Revolution of Porto, 1820. The Brazilians freemasons will gradually realize that, in addition to international solidarity and fraternity, the Portuguese geopolitics, managed by the freemasons from Porto, would seek to lead Brazil to the status quo ante of a colony, after having being elevated to United Kingdom of Portugal and Algarve by the end of 1815 by D. John VI, then Prince Regent in the Reign of King Mary I, his mother. The first official step of the freemasons in this sense was the Fico (I stay) on Jan. 9th, which represented a disobedience to the decrees issued by the Portuguese General Cortes, and that demanded the immediate return of the prince to Portugal, and practically the reversal of Brazil to its colonial condition, with the dissolution of the Portuguese-Brazilian union drawn up under the influence of the Congress of Vienna. It began then, the process of attracting the Prince Regent – D. Pedro who began to realize the strength of the Grand Orient, which would, soon after, when the freemasons from Rio de Janeiro resolved on May 13, 1822, to grant him the title of Perpetual Defender of Brazil, a political trump card to which did not lack the interests of the leaders who wanted to enhance their political prestige with the regent, and to overcome the respect that Jose Bonifacio, already the all-powerful Minister of the Kingdom and Foreign Affairs, enjoyed. The skirmishes between the groups of Gonçalves Ledo, of a more Republican tendency, and Jose Bonifacio, of a more constitutional monarchic tendency began to spread. With the large number of adhesions to the Lodge leading the liberation movement, the Commerce and Arts Lodge, Primate of Brazil, divided into three – Commerce and Arts, Union and Tranquility, and Hope of Nichtheroy to form the Brasilic or Brazilian Grand Orient, the first name of the Grand Orient of Brazil – GOB, on June 17, 1822. There was already a paramasonic institution called the Apostleship of the Noble Order of Knights of the Holy Cross, or simply Apostolate founded by Jose Bonifacio on June 2nd, 1822. It was an organization along the lines of the European Carbonária whose performance Bonifacio knew very well during the years he remained in Europe. The Apostolate and the Grand Orient would represent different factions of the Brazilian Freemasonry;, the first under the leadership of Jose Bonifacio, who played an important role in the history of Brazil, and second, under Gonçalves Ledo, with a considerable role in the history of Freemasonry, both advocating the political emancipation of the country, but in different forms of government and different ways of looking at the issue. The filo-Republican group of Ledo, Clemente Pereira, Francisco Nobrega, and Canon Januario Barbosa advocated a complete break of ties with the Portuguese monarchic mainland and a regime closer to those of the other Latin American countries, which, gradually, were getting their independence from the Spanish Crown. Bonifacio’s group, present in the Grand Orient, but entrenched mainly in the Apostolate preached the Portuguese-Brazilian unity, that is, a Portuguese-Brazilian community of autonomous countries, encompassing the colonies and not allowing the enslavement of blacks; and later the union of Brazil around the imperial figure of D. Peter I. Crucial to understand the Zeitgeist of the time are the Annotations to the Biography of Vasconcelos de Drummond, written by himself. José Bonifacio was the first Grand Master of the Grand Orient, and was shortly afterwards succeeded by the Emperor himself as the Grand Master. After the Proclamation of Independence by D. Pedro I on September 7, 1822, he decided to close the Grand Orient on October 25 of that year, remaining dormant until 1831. The Masonic work continued, however, to be performed at individual lodges. The Emperor himself built a lodge in the palace. The freemasons deputies to the National Constituent Assembly continued to perform in strong opposition to the emperor who decided to close it, and grant a Constitution on March 24, 1824 that lasted throughout the imperial period. After that, the freemason of the Grand Orient and those of the apostles, who had seen their bodies being closed by the emperor, united against him, in a process of undermining the throne, which would lead to the abdication on April 7, 1831, after which the Grand Orient was reinstated. In the period between the cessation of work of the Grand Orient in October 1822 and the abdication of King Pedro I, the Masonic activity was quite attenuated, although not completely suspended, not in the works of the Lodges or in politics. Before abdicating the throne, D. Pedro I, appointed Jose Bonifacio as the tutor of his son. Political turmoil was not absent in the reign of King Pedro I, and the main event was the revolutionary movement of 1824, which aimed to bring together under a republican regime – the so-called Confederation of Ecuador – the northeastern provinces, which had rebelled against the acts of D. Peter. A movement of clear Masonic inspiration, the Revolution of 1824 had as one of its main leaders, Friar Caneca – Joaquim do Amor Divino Rabelo e Caneca – a Carmelite friar, freemason and republican, who had already been one of the leaders of the Revolution of Pernambuco of 1817, and who between December 1823 and August 1824, made intense Republican preaching in 29 issues of the Typhis Pernambucano, a newspaper that published in Recife, striking a campaign against the emperor, since the dissolution of the Constituent Assembly and the imposition of the Constitution of 24 February 1824. From 1824 to 1829, little is known about Masonic activities. 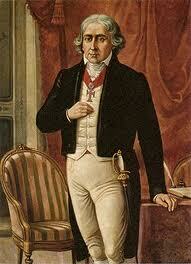 After the abdication of Pedro I, on April 7, 1831, the Freemasons began to regroup. The remainder of the first recognized Grand Orient Brasileiro, seeing that, after the resignation, had a more liberal atmosphere, which would be favorable to Masonic activity, met in October 1831, reinstating the first three cadres. And to make this act legal, the first officers of the Obedience installed in 1822 joined in a meeting, along with the first Grand Master Jose Bonifacio, under the determination that all would serve only temporarily, until the Constitution of the Grand Orient of Brazil, the successor of the Grand Orient Brasiliano was completed. Soon after it was reinstated, the Grand Orient published a manifesto, signed by Jose Bonifacio, directed to all Brazilian freemasons, and to the foreign Obediences, announcing that it resumed its work with force and effect. However, before the reinstallation of the Grand Orient of Brazil, another one appeared, called Grande Oriente Nacional Brasileiro, or simply Grand Orient of Passeio, in an allusion to the street where it was located. The Grand Orient of Brazil, which considered itself the successor of the Grand Orient Brasílico (or Brasiliano) of 1822, was reinstated on November 23, 1831. The manifesto of the Grand Orient of Brazil, between views of the development of Freemasonry in Brazil to that date, contained an invitation to the members of the Grand Orient of Passeio to gather in one sole Masonic circle, which, however, was rejected. A permanent conflict will be seen between the two Orients in seeking to represent the Brazilian Freemasonry. The problems would increase at the end of 1832, with the introduction by Francis Ge Acayaba Montezuma, affiliated to both Obediences, of a Consistory and a Supreme Council of the 33rd Degree of the Ancient and Accepted Scottish Rite, as the Grand Orient of Passeio would make its lodged to adopt the rite. And the Grand Orient of Brazil took over the Modern Rite, or French Rite. Despite these setbacks, the Grand Orient of Brazil continued working in the social field, beginning their struggle for the liberation of slaves, with the authorization of expenditure for letters of manumission, until it reached in the middle of the century, a frank and determined abolitionist campaign. After the resignation of D. Pedro, the country was ruled by a Regency – trine or unique occupied by freemasons of liberal tendencies – this time creating a series of social and political upheavals. The weakness of the regency lead conservative sectors to work for the restoration of the first emperor of Brazil, while the liberal sectors wanted to prevent any attempt of return of the deposed Emperor. In 1835, the GOB installed on August 6th, the Sovereign Chapter of the French Rite, or Modern. On March 26, 1836, it was founded in Rio de Janeiro, the Illustrious Council Kadosh Nr 1. In 1836, Jose Bonifacio was elected Grand Master. In 1837, constituted themselves, in the place of the chapters, a Grand College of Rites, being thereby regulated the AASR, although the official rite of the Obedience continued to be the French one. Later that year, on December 3, Jose Bonifacio, with his health pretty shaken- he would die on April 6, 1838 – handed the Grand Mastership over to the future Viscount of Albuquerque, Holanda Cavalcanti de Albuquerque, who had been elected for the position. The new GM attempts a rapprochement with the Passeio. In the same year, a lodge of the Adonhiramita Rite was reinstated, a rite which was no longer practiced in Brazil. The Adonhiramita Rite, until recently, was only practiced in Brazil, perishing in the rest of the world. In the early 40’s, Passeio began going downhill, losing several lodges to the GOB. In the political arena, members of the two Obediences participated actively in the events of the Regency period, when almost all were freemasons, and would have an outstanding performance in movement for the granting of adulthood to the heir of the throne. In the Regency period, the political currents were organized into several groups, bringing instability to the system; the group of hotheads wanted to get, soon the republic and the federalism; fearing these excesses, the reactionary (called restorers, or “caramurus”) wanted the return of the emperor, while a prevailing current formed, the moderates, led by the freemason and journalist Evaristo Ferreira da Veiga. When the decision was made to replace the Trine Regency with the Unique Regency, Brother Feijo was elected, on April 7, 1835, Regent of the Empire, with 2,828 votes, compared to 2,251 votes given to Holanda Cavalcanti, the future Grand Master of the Grand Orient of Brazil. One witnessed, once again, the eternal struggle between liberal and conservative freemasons. With the intensification of the fighting between the restorers, the hotheads, and the moderates, the regents, who could no longer withstand the pressure, withdrew by a decree of 1833, Jose Bonifacio’s mentoring, after which he was arrested and put in his home where he would be confined, being Grand Master of the Grand Orient of Brazil, a position for which he had been elected on November 6, 1832. Although confined – already holding the 33rd degree, received on March 5, 1833, from the Supreme Council created by Montezuma – he would continue with the authority of the office. During this period, it would begin, in 1835, the Farroupilha Revolution, independence movement that would extend until 1845 and that, having been led by the freemason Bento Gonçalves da Silva, had among its exponents other two freemasons: David Canabarro and Giuseppe Garibaldi, who would later fight for the Italian unification. On January 1st, 1842 the House of Representatives, still during the preparatory sessions was dissolved, what infuriated the liberals, causing armed revolutions in Minas Gerais and Sao Paulo, the latter headed by the freemasons Father Feijó and Senator Vergueiro. On September 9th, 1850, succeeding Holanda Cavalcanti, took office as Grand Master of the Grand Orient of Brazil, the then Viscount – after Marquis – of Abrantes, Miguel Calmon du Pin e Almeida. Meanwhile, the Grand Orient of Passeio knew a frank process of deterioration. In early 1861, the Grand Orient of Passeio was almost liquidated, with the transfer of the Viscount of Uruguay, former GM of Passeio to the Grand Orient of Brazil, accompanied by about 20 lodges. In 1863, when the Grand Orient of Brazil, which worked now at the Lavradio Street, and was known thereafter as the Grand Orient of Lavradio, free from divisions, after absorbing the Grand Orient of Passeio, prepared for a period of internal and external strength, a serious split occurred, with the removal of about 1,500 freemasons, who, under the leadership of Brother Joaquim Saldanha Marinho founded a new Obedience, which took the name of the place where it worked: Grand Orient of the Benedictines Valley, or simply Grand Orient of the Benedictines. On November 25, 1863, in a session disrupted by members of the opposition, the Baron of Cayru was hailed – given the circumstances – the new Grand Master of the Grand Orient of Brazil. With the death of Cayru on December 26, 1864, Joaquim Marcelino de Brito was elected Grand Master. Even losing some lodges to the guild of Saldanha Marinho, the Grand Orient increased the number of its lodged through the stimulation that it was imposed to it, as a reflection of their own emulation caused by the dissent. In 1869, efforts began to reunify the two Obediences, by interference of Portuguese Freemasonry, which in October that year, had accomplished the merger of the Grand Orient Lusitano and the Grand Orient Português, resulting in the Grand Orient Lusitano Unido. It happens that the old Grand Orient Lusitano had signed treaty of friendship and recognition with the Grand Orient of the Benedictines, while the Portuguese one had the same treaty with the Grand Orient of Lavradio, which, after the merger has created a situation of unease, causing the Portuguese freemasons to pressure the Brazilian ones, to imitate the Portuguese Obediences. As a result, Saldanha Marinho proposes Marcelino de Brito at the end of 1869, the beginning of a dialogue for the union of two Obedience, which was accepted by Lavradio forming each of the unions in 1870, a commission to study the issue and whose work would extend until 1871. In the political-social arena, the Freemasons’ and Freemasonry’s action was, in this decade, quite clear and productive around the abolitionist movement, already quite mature, and the nascent republican movement. In relation to the abolitionism, although only in this decade it had become more marked, the fact is that many isolated acts, including freemasons’ actions, already marked the movement, such as the pioneering attitude of the Republic of the Rio Grande, originated from the Farroupilha Revolution, led by the Freemasons David Canabarro and Bento Gonçalves, causing the liberation of the slaves. After the law of the freemason Eusebio de Queiroz in 1850, which extinguished trafficking, slavery in Brazil continued to be maintained by reproduction. This led the French Committee of Emancipation, entity organized by the Grand Orient of France, to ask the Brazilian government in 1867, the total liberation of the slaves in the country; the imperial government, through Zacharias de Goes, Head of Office, would respond carefully to the request, explaining that, after the Paraguayan War, in which Brazil was engaged, the matter would be handled with care. At this point in time, many lodges were already in full abolitionist and Republican swing, as, in reality, the campaign for the abolition occurred in Masonic milieu, with the Republican campaign, both being based in the radicalization of positions taken by the young wing of the Brazilian Freemasonry, represented in the central government, in the Parliament, in the barracks, in the humanities and sciences. Regarding the republican movement, there was no less activity in the period because, as a result of this work, it was released, on December 3rd, 1870, the Republican manifesto, of Masonic inspiration, led by Saldanha Marinho and written by the freemason Quintino Bocayuva, future Grand Master of the Grand Orient of Brazil. It was thus created the Republican Party, which would grow enormously in the following years. The studies for the merger of the Grand Orient of Brazil to the Grand Orient of the Valley of the Benedictines, ending the schism of 1863, would end up going nowhere, in face of the positions would be assumed by both Obedience, as of April 1871. A commission of notables was appointed to find a agglutinative and experienced name to lead the Grand Orient in those hectic days. Appointed initially, Counselor José Tomaz Nabuco de Araújo did not accept, which caused the Commission to focus on the name of José Maria da Silva Paranhos, the Viscount of Rio Branco. This choice raised a lot of objections, as the opposition claimed that the viscount, not being an effective member of the Supreme Council could not apply for the position of Sovereign Grand Commander Grand Master. The objection would be eventually overcome, when the Grand Orient of Brazil decided to consider eligible all holders of the 33rd degree of the Scottish rite, for the positions of Grand Master and Deputy Grand Master. In 1870, as a Foreign Minister in the cabinet of the Marquis de Itaboraí (Joaquim José Rodrigues Torres, who had been Grand Speaker of the Grand Orient of Passeio), Paranhos had signed the peace treaty with Asunción (Paraguay), through which he would earn a nomination for the Council of State and the title of Viscount of Rio Branco. A few days before taking the office the Grand Master of the Grand Orient of Brazil, he would become president the presidency of the Council of Ministers, and his Cabinet was the longest lasting in the history of the Empire, from March 7, 1871 to July 25, 1875. The mandate of the Viscount of Rio Branco with the GOB represents one of the highlights of Brazilian Freemasonry. The tenure of Rio Branco as head of the Cabinet was one of the most profitable of the Second Empire. The Masonic perspective, however, his most notable contribution was the presentation of the law passed on September 28, 1871, which declared free, thereafter, the children born to slaves that passed into history with the common name of Law of the Free Womb (although, legislatively, it was called “The Viscount of Rio Branco Law”). Under pressure not only from the Freemasonry, but also political, by those who saw in this law, an alternative to the chaos that would represent an immediate and unexpected total extinction of slavery, Rio Branco, profiting from the journey of the Emperor and the Empress Teresa Cristina to Europe, with the resulting regency given to Princess Isabel, presented the bill, which took his name. As head of the Cabinet, he would face, too, the stirred Religious Question, which, although it was a pending situation between the higher clergy and the imperial government, eventually involved both Brazilian Masonic Obediences of the time. The pretext for the outbreak of hostilities was a Masonic Party held on March 2, 1872, to commemorate the passing of the law Viscount of Rio Branco. During this ceremony, a speech was delivered in which one praised the role of Freemasonry in the liberation of slaves, addressing the facts, since the law Eusebio de Queiroz. But the fuse of the crisis was lit at the ceremony, when the Acting Grand Speaker, Father Jose Luiz Martins de Almeida, a prominent Freemason, gave an impassioned speech in which he praised the Freemasonry and Grand Master of the Grand Orient of Brazil, for the work done around the gradual abolition of slavery. The speech was published the next day, on the newspapers, causing the reaction of the bishop of Rio de Janeiro, who warned the priest, demanded him to abandon the Freemasonry. In face of his refusal, the bishop suspended him. That would trigger the dispute. In face of the reaction of the bishop of Rio de Janeiro, the two obediences, Lavradio and Benedictines, rushed to defend the Brother aggravated. After the melee with the bishops, the two Orients tried to reunite, but all was in vain. In the political arena, in 1873, there would be a fact of extraordinary importance for the republican movement: the Convention of Itu, of Masonic inspiration and that had had its prodrome on November 10, 1871, when 78 supporters of the federal republic had gathered, in Itu, in the Province of São Paulo, in order to organize the local Republican Party, creating a republican club, which could serve as a nucleus and center of the party. As a corollary of this movement, on April 18, 1873, with the presence of the main political leaders, the first Republican Convention was held in Brazil, which became known as Convention of Itu. In parallel with the Republican campaign, initiated by several of these Lodges, the abolitionist fight continued, which relied on heavy-weight freemasons, such as Luiz Gama, Joaquim Nabuco and José do Patrocinio. 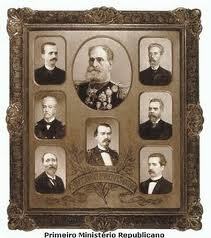 In 1880, in the elections held on March 15, Rio Branco was re-elected Grand Master. The GOB, however, would be, in the practice, led by the Deputy, since Rio Branco, increasingly ill, had no physical conditions for the exercise of the office, and would die on November 1st of the same year. In 1882 and under Grand Master Cardoso Junior, came to an end the division in the Brazilian Freemasonry, with the merger of both Obediences. Saldanha Marinho, already sick and tired, unable to command, conveniently, his Grand Orient “Unido,” had resigned from his post on March 30th, 1882, encouraging, inclusive, the merger, which negotiations were more increased as of the moment in which the Supreme Council of the United States, North jurisdiction, recognized the Grand Orient of Brazil, in June of the same year, time at which patents were issued for mutual recognition. Thus, on December 18th, 1882, the Grand Oriente Unido, former Benedictines was considered extinct, the union being rendered official 30 days later, on January 18th, 1883, becoming one sole Obedience under the original title: Grand Orient of Brazil. In the political-social arena the abolitionist fight continued and the Republican campaign recrudesced active participation of many Lodges. The law of the sexagenarians that freed the slaves who were in that age bracket, or above it, and the Áurea Law of May 13, 1888, which completely extinguished slavery, would complete the abolitionist struggle, and help to precipitate the end of empire, as the abrupt abolition caused great discontent among landowners, because there had been not enough time to replace the slave are in their plantations. The Republican campaign, in turn, was increased by the Military Question, which actually consisted of a series of clashes, happening between 1883 and 1889, between politicians and military, caused by the pride of the latter and the inability of politicians and ministers. These frictions would create a conducive atmosphere to the final military uprising in 1889, which would result in the implementation of the republican regime, under the leadership of military freemasons such as Manuel Deodoro da Fonseca and Benjamin Constant Botelho de Magalhaes. Despite the intense movement, the old military with the rank of major and up, had a great respect for the emperor, who, during the Paraguayan war, had stood firm beside national targets of the campaign sustained by the military. The rank and file, however, was filled with young students from military schools, who, besides not experiencing feelings similar to those of senior officers, were highly indoctrinated by the teacher of more prestige in the Military school, who would come, because of his performance, to be nicknamed “the father of the Republic”: the positivist and freemason Lt. Col. Benjamin Constant, who made open apology of the republican movement, and was one of the most important critics of the imperial government. In parallel with the military activities, with the performance of many freemasons, there was much excitement in the Lodges and republican clubs of Masonic inspiration, pointing out in this period, many civilian freemasons who would be called “Historic Republicans”: Quintino Bocayuva ( founder of The Republic newspaper and future Grand Master of the GOB), Campos Sales (future President of the Republic), Prudente de Moraes (the first civilian president of the Republic), Silva Jardim, Rangel Pestana, Francisco Glicério, Americo de Campos, Pedro de Toledo, Américo Brasiliense, Ubaldino do Amaral, Aristides Lobo, Bernardino de Campos and others. The uprising for the Proclamation of the Republic occurred on November 15, 1889. Once the entire Council of Ministers, chaired by the Viscount de Ouro Preto was deposed, Deodoro, however, in a flash of his old allegiance to D. Pedro II, was unwilling to take steps to implement the republic, and declared to Ouro Preto that he would go to the emperor, in Petropolis, to propose him a new cabinet. It was there that, once again stepped in Benjamin Constant, who made Deodoro see the danger in which they would be thereafter, for their rebellion, with the survival of the imperial government. And so the republic in Brazil was done. Once the republic was implanted, Deodoro would assume power as head of the Provisional Government, with a cabinet totally composed of freemasons: Quintino Bocayuva, in Transports; Aristides Lobo, in Interior; Benjamin Constant, in War; Ruy Barbosa, in Finance; Campos Salles, in Justice, Eduardo Wandenkolk, in the Navy, and Demetrio Ribeiro in Agriculture. These men were chosen because they represented – with the exception of Ruy Barbosa – the cream of the “Historic Republicans”, who by a happy coincidence, belonged to the Grand Orient of Brazil, in a time when Freemasonry was the home to the best men in the country and the intellectual elite of the nation. On December 19 that same year of 1889, a little more than one month after the establishment of the Republic, Deodoro, as head of the provisional Government, was elected Grand Master of the Grand Orient of Brazil. As of this date, the positivist “Benjamin Constant matrix” takes over the power in the GOB. During the period of the Old Republic – 1889/1930 – one watches a Changez de place in the Presidency of the Republic between two Masonic groups: the positivist and military matrix of Benjamin Constant, and the civil and liberal core of the state of Sao Paulo. The end of this time also culminates with the GOB’s great schism of 1927, beginning of the institutional decline of the Brazilian Freemasonry, which lasts until today. Before 1927 the history of Freemasonry was intertwined with the history of Brazil, not to say that they were one and the same; since then, the two parted ways. On February 24th, 1891, the Constitutional Congress approved and promulgated the first Constitution of the Republic, which established a presidential system, the secularism and the federalism. Two days later, the assembly would elect the definitive ruler, putting thus an end to the Provisional Government, which marked the transition phase. One of the tickets that presented themselves for election had, as candidate for the Presidency, marechal Deodoro, Grand Master of the Grand Orient of Brazil and, as a candidate to the Vice-Presidency, Admiral Eduardo Wandenkolk, also a Freemason; while the opposition ticket was headed by the Freemason Prudente de Moraes and as candidate for Vice-President, Marshall Floriano Peixoto. Deodoro won by a narrow margin of votes (129-97), while Floriano defeated Wandenkolk. As of then the Navy would challenge the Army who held the reins of the Republic. Deodoro encountered a hostile Parliament, which only elected him under the threat of armed intervention. Therefore, he would not be able to rule with it. And he dissolved it on November 3rd, 1891. With this, he lost all the support, including the military because a dictatorship would be a great stain for a republican regime that still crawled and sought consolidation. And when, on November 23rd, Admiral Custodio de Melo, aboard the battleship Riachuelo declared itself in revolt on behalf of the Navy, Deodoro, finding himself alone, resigned, not to trigger a civil war, handing the government over to his constitutional replacement, Floriano Peixoto. Deodoro, disenchanted, then, with everything, also resigns the office of Grand Master, in a letter dated December 18th, 1891. In social terms, the freemasons, in face of the problems arising from the rapid industrialization of the country, mainly in the state of São Paulo, began addressing the interests of the incipient industrial working class, still without protective entities. On June 30th, 1892, new elections were held for Grand Master of the Grand Orient of Brazil, and Macedo Soares was elected. Meanwhile, internally in the external political and social arena, the freemasons, as the entire society in general, faced troubled times. There was a conflict between the positivist military freemasons of the State of Rio de Janeiro and the civilian freemasons, especially from the state of Sao Paulo. After a period of civil and armed conflicts, Floriano handed over the power, at the end of his term in office to his successor from São Paulo, Brother Prudente de Moraes, who was the representative of the rural oligarchies and therefore of the federalism, while the military positivists returned to barracks, ending what was the thorny task of consolidating the regime. Obviously, there was during this period, some confusion between the most politicized classes of the nation, including Freemasonry, headed by counselor Macedo Soares. While a portion of the Masonic world, found mainly among military officers, almost generally supported the acts of Floriano; another faction, linked to the regional politics and to the rural oligarchies, promoted riots, such as the civil war in the state of Rio Grande do Sul involving the parliamentarists such as the freemason Silveira Martins, and the presidentialists led by Julio de Castillos, who had the support of Floriano. After the government of Brother Prudente de Morais, the power would remain peacefully in the hands of rural oligarchies – as, indeed, occurred until 1930 – with the election of Brother Campos Sales, an exponent of the Freemasonry of the State of São Paulo, whose government was characterized by the great realism in economic and financial policy of the freemason Joaquim Murtinho, Minister of Finance. In February 1901, new elections were held at the Grand Orient of Brazil, and Quintino Bocayuva was elected to the office of Grand Master, who on the day of the Proclamation of the Republic, rode beside Marshall Deodoro, and with Henrique Valadares, a pupil at the Military School of Benjamin Constant as Deputy Grand Master. The positivist matrix maintained its control over the GOB. Quintino Bocayuva, despite all the work done, could not devote himself entirely to the Grand Master office, as he had been elected, and on December 31, 1900, sworn in as president of the State of Rio de Janeiro, for a term of three years, which meant that on several occasions, he would be replaced by Henrique Valadares. Still, he completed his tenure at the Grand Orient, with large positive balance on June 21st, 1904, handing the gavel of the supreme representative of the Brazilian Freemasonry over to general Lauro Sodré, a positivist, Federal Senator for several terms, a candidate for President of the Republic against Brother Campos Sales, and secretary of Benjamin Constant when he this occupied the Ministry of War. This positivist matrix, along with freemasons, also positivists, from the State of Rio Grande do Sul, would come into conflict with the Presidents of the Republic at the time, originated from the liberal and civil Freemasonry of the state of Sao Paulo. Lauro Sodré will even be arrested, while GM of the GOB, in the battleship Deodoro for almost six months. In the Brazilian Republican politics in that decade, among other freemasons, stood out the son of the Viscount of Rio Branco, Baron of Rio Branco, Patron of the Brazilian Diplomacy, who in 1902 was appointed by President Rodrigues Alves, Minister of External Relations of Brazil, holding the position until his death in February 1912, during the governments of the Brethren Rodrigues Alves, Afonso Pena, Nilo Peçanha, and Hermes da Fonseca, with great prominence in the settlement of disputes with neighboring Nations. In the end of the government of President Brother Rodrigues Alves, was elected to the presidency of the Republic, Brother Afonso Pena, from the state of Minas Gerais, starting the switching Sao Paulo-Minas Gerais in the power. Having been elected by a coalition of state situationists parties – the true owners of the politics of the time – which had opposed a candidate of the preference of Rodrigues Alves, Afonso Pena would find the Congress controlled by a majority led by Senator Brother Pinheiro Machado, Masonic and political leader, what would lead to assuming that the problems of succession should be submitted, necessarily, to the approval of this group, made up of a majority of freemasons from several states. Having emerged the candidacy of Brother David Campista in 1908, provoking great resistance, because he claimed to be an interventionist, the group led by Pinheiro Machado espoused the candidacy of the freemason Hermes da Fonseca, who in his tenure at the Ministry of War created a reputation for great administrator. Then the death of Afonso Pena would occur, at the height of the crisis, with the consequent ascension to power of Nilo Pecanha, also a Masonic leader who would be Grand Master of the Grand Orient of Brazil from 1917 to 1919. Around him, would officially set the policy regarding the candidacy of Brother Hermes da Fonseca, general and nephew of Deodoro da Fonseca, what led, for the first time in the history of the republic, a serious opposition candidate through Ruy Barbosa. Hermes, however, would be elected because he had the support of the major states. When the period of Hermes da Fonseca ended, the most valued names for the Presidency of the Republic were those of Brother Pinheiro Machado and Brother Ruy Barbosa. However, an agreement between the dominant Republican Parties of São Paulo and Minas Gerais would bring up the name of the Vice-President of the Republic, the freemason Wenceslau Brás, who was elected unopposed, while the world struggled in World War I. With the election of Lauro Sodré for governor of the State of Pará, Nilo Peçanha will be elected GM of the GOB on June 1st, 1917. Brazil would enter the war on October 26 of that year. In the government of the Republic, once the mandate of Wenceslau Brás ended, in 1918 it was elected for a new presidential term, Rodrigues Alves, who would die before taking office, which caused the vice, Brother Delfim Moreira assume until July 1919. Since the latter, tired and sick, were unable to command the national policy, Epitácio Pessoa was elected to complete the quadrennium, who would face serious political crises. In 1919, the Masonic policy, led by Nilo Pecanha, was generally opposed to President Epitacio Pessoa, because Nilo had indicated Ruy Barbosa to complete the government period of Rodrigues Alves. This position would be maintained, although with less intensity during the Grand Mastership of General Thomaz Cavalcanti de Albuquerque, who was to succeed Peçanha Nile, when he resigned his office on September 24, 1919. While the political atmosphere was buzzing in face of the new presidential election, and the episodes that supposedly involved Arthur Bernardes, the situation of the Grand Orient was not quiet, because it began the decade with a new division, caused by a fraudulent election. With the death, on January 28, 1921, of the the Deputy Grand Master Luis Soares Horta Barbosa, new elections were held on April 25th that year, to fill the vacant position. On March 3, a convention had been held in Rio de Janeiro, to choose the candidate for the position. At the meeting, with just over 40 delegates, two candidates emerged: Mário Marinho de Carvalho Behring, supported by a small majority, which held the power at the Grand Orient, and General José Maria Moreira Guimaraes. With the support of São Paulo, which was not represented at the convention, Moreira Guimarães won the majority of votes. However, by manipulating the the data, the election committee annulled votes from both sides, but especially those of the general’s, so that Behring would be elected. As will be seen later, Behring will be responsible for one of the biggest splits that the GOB will suffer in the twentieth century and that continues to this day. At the end of the General Thomaz Cavalcanti’s tenure, Nilo Pecanha was appointed once again for Grand Master. The political events in the Country, in this hectic period, however, would eventually make his candidacy inappropriate – he was, inclusive, illegally arrested, despite his immunity as a Senator of the Republic – making ambitious elements coming out of the shadow and initiating a work of intrigue, aiming to climb the high offices of the Grand Orient of Brazil. The elements that aspired to the Grand Mastership were linked to the Ministry of Justice of Artur Bernardes, and then occupied by the freemason João Luis Alves. On May 20, 1922, Mario Behring was elected Grand Master of the Grand Orient of Brazil, with the blessing of João Luis Alves. Meanwhile, the national political environment was agitated with the publication of letters attributed to Arthur Bernardes – and found to be false, later – containing insults to the Army. Leading the revolt against the letters was the Military Club, then chaired by Hermes da Fonseca, which would cause the government’s reaction, with the closing of the Club and the arrest of Hermes, facts that would cause greater discontentment of the armed forces, and the rebellion of Forte de Copacabana on July 5th, 1922, in the episode known as the “eighteen of the Fort,” which began the mystique of the movement known as “tenentismo”, which would take the power with the coup of 1930. Elected and sworn in as President of the Republic, Arthur Bernardes had one of the most agitated presidential periods, comparable only to that of Floriano, ruling virtually under siege and federal intervention in the States, though opposed by a few brave, such as the freemason Nilo Pecanha, former Grand Master of the Grand Orient. In his government, broke out in Sao Paulo, the revolt of July 5, 1924 – during which the Masonic Lodges were closed – led by General Isidoro Dias Lopes and suffocated in 22 days; in the same year, in October, would break out in Rio Grande do Sul, another rebel movement led by Captain Luis Carlos Prestes, who, along with the remnants of the revolt of São Paulo, formed the “Prestes Column” which made the march of 30,000 kilometers through the hinterland of Brazil, always pursued by the government’s forces. The split of 1927 creates, in Brazil, the state Grand Lodges which remains until the present day. Internally to the Order, Mario Behring was licensed, but he resumed office on June 23, 1925, in face of the risk he ran in his re-election. Behring wins the election in a rigged election. Since then the splits in the GOB will always occur due to lost elections. The General Assembly, in an extraordinary session, recognized the fraud. Once the deadlock was established, in a new Assembly, on the 8th, the three candidates proposed the annulment of the election and call for new elections. As a result, Behring resumed office on June 23rd and dissolves the General Council of the Order. Twenty days later, on July 13th, he resigns the Grand Master’s office, after seeing his dream of reelection crumble, and faced with the inability to repay the loan made in 1924. It would assume, then, as Acting Grand Master, the Deputy, Brother Bernardino de Almeida Senna Campos, a friend and coreligionist of Behring. In a special session of the General Assembly, on December 21st, 1925 for the call of new election were proclaimed and recognized the most voted: Vicente Saraiva de Carvalho Neiva, for the post of Grand Master, and João Severiano da Fonseca Hermes, for the post of Deputy. Carvalho Neiva had 3,179 votes, while Behring received only 317 in a real plebiscitary trial of its tenure. Despite resigning as Grand Master, Behring retained the position of Sovereign Grand Commander of the Supreme Council of the AASR, contrary to the provisions of the constitution of the Grand Orient, which provided for the occupation of two positions by the Grand Master, as the Obedience was ritually mixed, a fact which was fully accepted in the International Congresses of 1907, 1912, and 1922. At that time, Behring was already beginning to plot the spin-off that would occur in 1927, as he caused on November 2nd, 1925, to register the statutes of the Supreme Council, although there was already a record of the Grand Orient – as a ritually mixed Obedience – encompassing the Supreme Council, made on the occasion of the promulgation of the Constitution of 1907. That record of 1925 was, therefore, totally invalid, but would subsequently serve to Behring’s designs. In face of the conflict, Octavio Kelly finally assumes the direction of the GOB, Kelly, who was elected to the office and sworn on March 21st of that same year, who will try to remedy the damage provoked by Behring. Behring, however, knowing in advance what it would occur, promoted on June 17, 1927 (anniversary of GOB), out of the Lavradio – and thus secretly – an extraordinary meeting of the Supreme Council, with only 13 effective members, and declared its separation from the Grand Orient, without having forgotten, beforehand to steal all papers and documents from the files of the Supreme Council, at Lavradio, transporting them to another address, in a flagrant Masonic crime, as the papers did not belong to him. Behring refers to the elections proceeded in the Supreme Council since 1921, and that it became necessary to vote the treaty between the Grand Orient and the Supreme Council; and considering that he had been asking for a reform of the Constitution, unsuccessfully, the Supreme Council would decide unanimously – only 13 of the 33 members – to denounce the situation to the International Confederation of the Rite, and therefore the treaty of 1926. And ends by announcing that it would leave the General Council. The GOB’s officials were unable to assess the significance of this decision, appealing to a very close union, not knowing that the killing blow on the Grand Orient had been covertly struck. Behring refers initially to the elections proceeded at the Supreme Council in 1922. He says that after the failure of the Constituent Assembly, it was necessary to seal the treaty between the Grand Orient and the Supreme Council, to fulfill the resolutions of the Conference of Lausanne of 1922. That the Supreme Council had been asking for the reform of the Constitution without obtaining it, and, therefore, on the 17th, he decided to denounce to the International Confederation the union it had with the Grand Orient, and therefore the treaty concluded in 1926. He ends by saying that the Supreme Council maintains its decree of 1921, reason why he recognizes only the Grand Constitutions and Statutes of the Scottish Rite, leaving him only, therefore, the choice of withdrawing from the Council of the Order. It was the ultimate rebellion. But he gave the impression that there would be only the separation of the obediences – Supreme Council and Grand Orient – without causing the secession in the symbolism. Behring, however, had scheduled this split, creating a symbolic substrate for his Supreme Council, in the figure of state Grand Lodges. The first of these, in Bahia, had been founded on May 22nd, 1927, receiving from the Supreme Council, the charter Number one; two others, soon after declared the division, were: Rio de Janeiro and Sao Paulo. As of then, the Brazilian Freemasonry began a process of decline, and is no longer an elite strategy group to become a conventional group of middle class like many that exist in Brazil. The Revolution of 1930 will further strengthen this characteristic until today, when the GOB’s growth at Chinese has the potential to generate a qualitative change. On August 3rd, 1927, Behring and his followers launched a Manifesto to the Scottish Lodges in Brazil and a decree – made famous by the unusual attitude involved – stating officially the Grand Orient as an irregular power within the Universal Freemasonry. The unusual is an Obedience of the High Scottish Degrees declaring illegal a symbolic Obedience. Still, Behring did not stop promoting the division, courting the United Grand Lodge of England in order to obtain from it, the recognition for its Grand Lodges, which would give them the traditional regularly emanating from the Mater Obedience. He would achieve nothing, however, as it will be seen later, as the United Grand Lodge of England always recognized the GOB as its partner in Brazil. While the Grand Orient of Brazil went through this internal upheaval, the Country, after the agitated period of Arthur Bernardes, would know a time of relative tranquility, with the ascension to the presidency of the Republic of the freemason Washington Luís Pereira de Sousa in 1926. The government of Washington Luís would be quiet until 1929, when the great world crisis, triggered by the crack of the New York Stock Exchange, brought economic problems to the country, with the large increase in the stocks of coffee, a situation exacerbated by the government’s refusal to assist financially the farmers in crisis. The year 1930 began, for all of Brazil, under the sign of unrest. Along with the great economic depression, arising from the global crisis of 1929, there was great disturbance in the political sphere, as a result of the crisis the country was facing, with the violent fall of the economic structure, based on coffee exports. Since the beginning of the Republic until 1930, Sao Paulo would share with Minas Gerais, its influence in politics and the administration of the country Even before the 1929 crisis, the policy of valorization of coffee of the Washington Luís’ government found opponents within the Republican Party of São Paulo (PRP), which gathered the coffee bourgeoisie of the state of São Paulo. As the elections for the Presidency approached, the PRP appointed to succeed Washington Luís, the former head of state, government leader in the House and freemason Julio Prestes de Albuquerque, leaving aside two names of national projection: Borges Medeiros, former president of the state of Rio Grande do Sul, and Antonio Carlos Ribeiro de Andrada, president of the state of Minas Gerais. The latter, then, turned to frank opposition, establishing with Rio Grande do Sul, a political coalition called “Liberal Alliance”, which would launch the ticket Getulio Vargas – Joao Pessoa, to tackle the ticket Julio Prestes-Vital Soares. On March 1st, 1930, once the elections were held, won, as expected, the electoral machine of the PRP, and on both sides, operated an electoral fraud. The opposition, then, began plotting to promote an armed uprising against the government, and the fuse of the upraising was the murder of João Pessoa, shot by John Duarte Dantas, for simple family matters of the state of Paraiba – a state presided over by Pessoa – and without any political connotations, but that was very well exploited by the rebels. Once the revolt broke out in Porto Alegre, on October 3, 1930, it would culminated in the overthrow of the constitutional president, Washington Luís, and the delivery of the power to Getúlio Vargas, who would rule for 15 years, first as head of the provisional government, after as constitutional president and finally as absolute dictator until his overthrow in 1945. The coup of 1930 and the rise of Vargas to power would have great impact on the Brazilian Freemasonry, provoking a period of stagnation and even involution, from which it is trying to recover until today. At the Grand Orient, Octavio Kelly disenchanted with the insistent opposition and the persecution moved against him left the office on June 17th, 1930, returning only on July 3, after the promulgation of the new constitution of the GOB on June 19th. In October 1930, in the face of political and social upheaval caused by the coup of October 24, with the deployment of a state of siege and closing of banks, many Lodges suspended their operation, also due to financial difficulties. In the same year of 1930, the Grand Orient of Brazil had participated in the Brussels Congress, organized by the AMI (International Masonic Association), being recognized as the only symbolic power in Brazil. From the Revolution of 1930 until the transfer of the capital of Brazil from Rio de Janeiro to Brasilia, inaugurated by President Kubitschek in 1960, a few strategic facts are worth noting in the Brazilian Freemasonry. Among these, one may mention the Treaty of the GOB with the United Grand Lodge of England in 1934 by Grand Master General Moreira Guimaraes. As of 1935, the socio-political arena in, the country would be, once again, agitated, involving, of course, the Grand Orient of Brazil representing still a significant and active parcel of the Brazilian society, despite having lost the characteristic of the country’s strategic elite. Extremes of left and right became part of the political ideas of significant portions of the Brazilian elite. Dribbling ideological skirmishes through the docility of Congress, Vargas was quick to overthrow the government. And this happened on November 10th, 1937, when the Congress was dissolved; all parties extinguished, abolished the Constitution of 1934, and published a new Constitution of authoritarian nature. The dictatorship of the New State was deployed. This would reflect in all Brazilian social institutions, the Grand Orient of Brazil, not being an exception. The closing of the Freemasonry was advised to the government on 25 November 1937, 15 days after the coup. In 1941, the Masonic Lodges which had remained closed since the deployment of the New State in 1937, sought to return to normality, although in the sights of the sleuths of the dictatorship, infiltrated in the very institution, and though under the weight of Masonic decrees castrating the freedom of expression. On August 22nd, 1942, in view of the torpedoing of several merchant ships by German submarines, Brazil, through a ministerial statement, recognized the state of war with the Axis’ countries, considering the dispatch of troops of the Brazilian Expeditionary Force to Europe. During the entire course of the war, as happened during the First World War, there was intense Masonic movement and communication between the Obediences. In April 1943, at the request of the government, the Grand Orient would recommend to the Lodges to buy war bonds to help the war effort of the allied countries. With the end of the war, the dictator Getulio Vargas was deposed by a coup on October 29th, 1945. On June 24th, 1953, it was elected Grand Master the Admiral Benjamim Sodré, the son of former Grand Master Lauro Sodré, with Cyro Werneck de Sousa e Silva as Deputy, who would be the GM as of 1955. The positivist matrix still dealt the cards at the GOB. Vargas would return to power through direct elections in 1950. In mid-1954, Brazil went through one of the major traumas of its existence, which would provoke a serious political and institutional crisis. There were lots of denunciations of administrative scandals, exploited by the opposition, the head of which was the distinguished journalist and Representative Carlos Lacerda, son of the politician and freemason Mauricio de Lacerda. On August 4th, 1954, upon returning from a Conference, Lacerda was the victim of a shooting in which an officer of the Air Force was killed; and the situation would become very serious when the investigation, then installed, showed that the murderer was commanded by someone close to the President. This, on August 23rd, believing that he would overcome the crisis, with a request for temporary leave, saw the next morning that this would not satisfy the opposition. Powerless, then, to resolve the crisis, he committed suicide on that day 24 with a bullet through the heart. Taking office in the middle of a crisis and the trauma generated by Vargas’ gesture, Vice President João Café Filho presided over the election of a new president. It was elected, then, the former governor of the state of Minas Gerais, Juscelino Kubitschek de Oliveira, and as Vice-president Joao Goulart. They took office on January 31s, 1956. In 1957, the Grand Orient of Brazil participated as Obedience internationally recognized, in the International Masonic Congress in The Hague, Netherlands. At the speech, then delivered, the Grand Master Cyro Werneck speaks of the history of the Grand Orient and the international recognition it enjoyed at that time. In the government of the Republic, President Juscelino Kubitschek, scheduling a series of targets to be achieved, has as a fundamental one the transfer of the federal capital from Rio de Janeiro to the Central Plateau, an aspiration that, although very old – remembered already in the Constituent Assembly of the Empire in 1823, and recorded in the republican Constitution of 1891 – had never been carried forward. As a result, however, the strength of the government, laying the foundations of Brasilia, the new capital in the Central Plateau, several entities – and among them, the Grand Orient – began planning the future transfer of their headquarters to the new Federal District. The year 1961 began for Brazil, with the inauguration of a new president, Brother Jânio Quadros that lasted only seven months in office, having resigned in August 1961. This event triggered an unprecedented political crisis in the republican history, involving also the Grand Orient of Brazil – because, after the position having been delivered in the constitutional manner, to the chairman of the House of Representatives, Pascoal Ranieri Mazzilli, since the vice President Joao Goulart was traveling in Asia, the military ministers, considering dangerous the transfer of power to Goulart, asked the Congress to declare his impediment. Followed several days of fear with different segments of society defending the inviolability of office of the vice president. The Grand Master Cyro Werneck, on behalf of the Grand Orient of Brazil, spoke out publicly for the respect for the Constitution, with the consequent inauguration of Goulart as president. In the face of protests originated from different sectors of the Brazilian society, it was found after ten days of uncertainty, a political solution for the crisis, the Congress resolved to call the vice president, but it took out his powers, approving, under the form of the Additional Act to the Constitution, the institution of a parliamentary system. On September 7th, 1961, Goulart took office, indicating for the Presidency of the Council of Ministers the politician from the State of Minas Gerais, Tancredo Neves, of the PSD party. At the Grand Orient of Brazil, in 1963, there were new elections for the positions of Great Dignities, Alvaro Palmeira being elected Grand Master, and sworn on June 24th. While the Grand Orient entered a relatively calm phase, the political environment of the country continued in growing agitation, as Goulart, strengthened by the plebiscite of 1963, proposed to the Congress, several basic reforms (agrarian, fiscal, political and university), which although recognized as necessary by the majority of the opposition in Congress, the provoked disagreements raised by the way they would be made, especially the agrarian reform. At dawn on March 31st, broke out the politico-military movement, which would depose Goulart, leading to his escape abroad. Then, an institutional Act was issued, suspending the constitutional guarantees and began a purge in the public life of the country. In 1973, took place the most recent division, also due to electoral issues, on May 27th, when several State Grand Masters abandoned the GOB. Such movement, under the leadership of the Grand Master of São Paulo, Brother Danilo, who had been eliminated earlier from the GOB, signed a proclamation by which the declared themselves independent, emerging from there the College of Grand Masters, which resulted in the so-called COMAB – Brazilian Confederation of Freemasonry. Serious dissensions in the Grand Orient of Brazil would be one of the remote causes of the institutional crisis that the Obedience would face as of 1970, resulting in the split of 1973, a product of the ideological incitement. In the federal government, succeeding President Castelo Branco, Marshal Arthur da Costa e Silva would take over the government on March 15th, 1967. At the inauguration of Costa e Silva, entered into force the new Brazilian Constitution, which had been enacted by the Congress on January 24th. Throughout this period, the GOB is not noted for any important action, keeping a low profile within that pattern of decline since the great secession of 1927. At the governmental level, a new crisis would happen to the illness of President Costa e Silva, and his consequent leave from the government. Constitutionally, the Vice President Pedro Aleixo should take over, which, however, having opposed the AI-5, was prevented from taking office on August 31st, 1969, by the military junta that would assume power provisionally. Soon after, the junta would declare terminated the tenure of Pedro Aleixo, and would promote a new indirect election at the Congress. General Emilio Garrastazu Medici would then be elected on October 25, who would take office on October 30th, deploying deep censorship on all organs of the national media. At the Grand Orient of Brazil, by then, already circulated across the Masonic Lodges and Bodies, a publication called Informational Plank, which, under the responsibility of Brother Felix Cotaet, representative at the Sovereign Federal Legislative Assembly – with the support and advice of other representatives from São Paulo – brought news of that legislative body of the Grand Orient of Brazil. Despite being of “Circulation restricted to the Masons of the Grand Orient of Brazil,” the publication, as the author himself divulged, was sent to civilian and military authorities and not infrequently contained striking criticism to the then GM of the GOB, Brother Moacyr Arbex Dinamarco, whom he, notoriously, opposed. Profiting from the atmosphere of the time, and on grounds that, as a reserve officer of the Army, a share of the defense of democracy was up to him, the author inserted in its Informational Plank, barely veiled innuendos of “Communist infiltration in the Grand Orient of Brazil,” which would occur, he said, under the blind eyes of the GM. When sworn in as Grand Master of the Grand Orient of São Paulo on June 17, 1969, Brother Danilo Jose Fernandes, having defeated the opposition candidate, supported by Cotaet, Nery Guimarães and others, began to suffer in the Informational Plank, the same kind of criticism that Dinamarco endured. In the face of the criticism, Danilo, after considerable wrangling with Cotaet, prohibited the circulation of the Informational Plank on February 25th, 1970. On August 13th, six months after the issuance of the circular letter – which had raised no reaction when published – Cotaet presented a complaint to the Public Security Bureau, against the Grand Orient of Brazil and the Grand Orient of São Paulo, trying to involve the General Grand Master, Moacyr Arbex Dinamarco, and compromise the Grand Master of São Paulo with the authorities in the area of national security. It was then established a military police investigation, which would have an outcome in October 1971 when the Auditor Judge determined the closure of the dockets, considering the denunciation unfounded. Despite the turmoil in the Central Power, the Grand Master was still trying to maintain the normal administrative and social normality, and to commemorate the sesquicentennial celebrations of the Grand Orient of Brazil, which would be held in June 1972. 1971 began for the GOB, with great agitation caused by pressure on the GM Dinamarco, from members of the above-mentioned group, around a supposed “communist infiltration” in the obedience, from São Paulo and his State Grand Master. Shortly after, Felix Cotaet was suspended from all his Masonic rights in the Grand Orient of Sao Paulo. A new conflict would arise when selecting the candidate to succeed Dinamarco, that sounded to some like a game of marked cards, because as the Grand Master could have the majority vote at the Sovereign Congregation, since many of its components were appointed by the Executive, and the one appointed by the Executive would win. According to the calculations of those who opposed the policy of the Central Power and a possible continuity, only some of the 15 State Grand Masters and Dinamarco’s predecessor, Alvaro Palmeira could be contrary to the candidate nominated by the Grand Master. Appeared, then, as incidental opposition candidates, the State Grand Masters Athos Vieira de Andrade (Minas Gerais), Enoch Vieira dos Santos (Paraná), Frederico Renato Mótola (Rio Grande do Sul), Michael Christakis (Santa Catarina), and Danilo José Fernandes (Sao Paulo). In early 1972, the position of the State Grand Master of São Paulo was in total opposition to the Grand Master General. Meanwhile, on April 19th, 1972, a meeting occurred in Sao Paulo, which would result in the “Proclamation of São Paulo,” with the launch of the candidacies of Athos Vieira de Andrade (Minas) and Raphael Rocha (Rio de Janeiro), for the positions of Grand Master and Deputy, respectively, in the elections that were to be held in 1973. On May 9th, prosecuted and tried by the Masonic Court, Danilo had had suspended his Masonic rights, under allegation that the debt of São Paulo with the Central Power had not been paid. A legal dispute began between the GM of the GOB and the Grand Master of São Paulo about unpaid expenses. In the face of the impasse, the situation worsened. Danilo sent a petition to the Masonic Court, proposing the establishment of a Verification Committee, intended to carry out the survey and settlement of accounts; he declared, too, that he would accept as final the report of this Committee. The Court decided not to examine the petition because it understood that Danilo had his rights suspended, and could not request in its own name or require as Grand Master of São Paulo. In the face of that, Danilo filed a lawsuit with the Civil Court of Rio de Janeiro, or a profane court. The Deputy who did not succeed in his intent should take over the State Grand Master’s office. The opposition then launches the candidacies of Athos Vieira from Minas Gerais and Raphael Rocha from Rio de Janeiro; and the manifesto was signed by the following state grand masters: Danylo Jose Fernandes, Grand Master of the Grand Orient of São Paulo; Enoch Vieira dos Santos, Grand Master of the Grand Orient of Paraná: Michael Christakis, Grand Master of the Grand Orient of Santa Catarina, Renato Federico Mottola, Grand Master of the Grand Orient of Rio Grande do Sul; Gumercindo Ignacio Ferreira, Grand Master of the Grand Orient of Goiás; Manuel Paes Lima, Grand Master of the Grand Orient of Pernambuco. Subsequently, this proclamation was supported by Salathiel de Vasconcellos Silva, Grand Master of the Grand Orient of Rio Grande do Norte, Celso Fonseca, Grand Master of the Grand Orient of Brasilia, and Cyro Werneck de Souza e Silva, and former Grand Master of the Grand Orient of Brazil. The Grand Master General then appoints on May 26th, 1972, the retired general Luiz Braga Mury, as intervener in the Grand Orient of São Paulo. Danilo got an injunction with the Tribunal of Justice of the State of São Paulo, and was reinstated in office, resuming the possession of the building. A long conflict would last in Sao Paulo, while at the same time were launched as official candidates for Grand Master: Osmane Vieira de Resende (which was Deputy) for Grand Master, and Osiris Teixeira, from Goias, Senator of the Republic and least known freemason for Deputy. Once the elections were held, the official results showed the victory of Osmane with 2,129 votes, compared to 1,107 for Athos, while Osiris Teixeira also won with 2,046 votes, compared to 1,180 given to Raphael Rocha. According to the opposition, however, the “unofficial” results consigned Athos 7,175 votes, against 3,820 to Osmane, and 7,195 for Raphael, compared to 3,794 for Osiris. As it happens that, in the Court, more than 6,000 votes for Athos were nullified, while Osmane lost less than 2,000, and, that happened on the grounds of debt with the Central Power, and irregular filling of the minutes of the elections. The entire process occurred in rather agitated atmosphere, as the representatives of the opposition ticket, alleged fraud in the cancellation of election minutes, with bias of the court in favor of the official candidates. From this, a new spin-off was triggered in the GOB with the loss of countless elite groups of brothers from several Brazilian states such as Sao Paulo, Minas Gerais, Federal District, Rio Grande do Sul, Ceará, Paraná, Mato Grosso, Rio Grande do Norte, Santa Catarina, and Rio de Janeiro. The State of Goiás which remained united around the GOB would play an important role in the unfolding of events, and the capital of the Republic had moved from Rio de Janeiro to Brasilia. The regrettable fact, however, was that it made the Brazilian Freemasonry even weaker. On June 24th, 1973, Osmane Vieira de Resende took office as Grand Master of the GOB, with an opaque tenure. On March 15th, 1974, Brazil had a new president, with the inauguration of General Ernesto Geisel, also elected by the Congress on January 15th. Shortly after May 16th, the president received in audience, the Grand Master General and his Deputy, when this, as a senator of the situationist party read a letter in which the Grand Orient reaffirmed its support for the government that had been installed after the movement of 1964. From the tenures of Presidents Ernesto Geisel and João Batista Figueiredo to the redemocratization, the efforts of the GOB were opaque, not to say regrettable until the election of Jair Assis Ribeiro from Goiás Worth of note was that Senator Osiris Teixeira sworn in on June 24th, 1978, in July 13th, arranged to change the seat of the Grand Orient of Brazil to the federal capital, Brasilia, which had the structure enough to house the Obedience. In March 1983, Jair Ribeiro Assis was elected to the office of Grand Master, what represented a landmark in the revival of Freemasonry in Brazil. Not only responsible for building the Masonic Palace in Brasilia, but also for being a peacemaker of the GOB. The management of Jair Ribeiro would assist the re-democratization of Brazil with the first direct elections for President of Brazil since 1964. With the election of President Tancredo Neves, who would not take office, because he died a few days after being elected, Representative José Sarney took office. If Jair Assis Ribeiro represented a turning point in the decline of the Brazilian Freemasonry and the election of Murilo Pinto can be seen as the consolidation, the opening to the outside world after decades of isolation from provincial administrations since Cyro Werneck – and a robust masonic education program. The tenure of Laelson Rodrigues can be seen as financial restructuring and consolidation of the GOB and the consolidation of the opening to the outside world. Marcos José da Silva’s tenure is still very new to allow some kind of deeper comments. Currently the Freemasonry of the GOB goes through a phase of setting up Research Lodges, Lodges of University Students and Masonic Academies, Paramasonic Youth Action, Sisterhoods, etc. • Marcos José da Silva – Public Officer – 2008 to 2013. Former Secretary of Education and Culture of the GODF-GOB. Author of several books on Freemasonry in Brazil. Member of the Research Lodge Quatuor Coronati of London, of the Scottish Rite Research Society. President of the Masonic Academy of Arts of the FD. Treasurer of the Masonic Academy of Brazil and Masonic Academy of Arts of Paraiba. Ph.D. in Political Science from the Panthéon-Sorbonne. [i] William Almeida de Carvalho, Freemasonry, the Slave Trade and the Bank of Brazil (São Paulo: Ed Madras, 2010). virtual pois admiro do jeito que você tem para relacionar-se com com o leitor. já e seu maneiras. Se você puder olhar este e me manifestar o que achou fico grato. Gostei muito de seu weblog. Essa postagem como constantemente me surpreendeu. Seu blog é muito varido e lindo. Na última CMSB (julho de 2003) o número oficial é de 2.700 Lojas em todo o país e mais de 130 mil maçons ativos (sendo que nas Grandes Lojas não é permitida a filiação dupla). Irm.’. William, eu tive a oportunidade de estar com ele há poucas semanas em SL, RS, onde ele e outros palestraram a respeito da Maçonaria na atualidade.